Home Home updates	Is it Time to Give Your Bathroom an Affordable New Look? 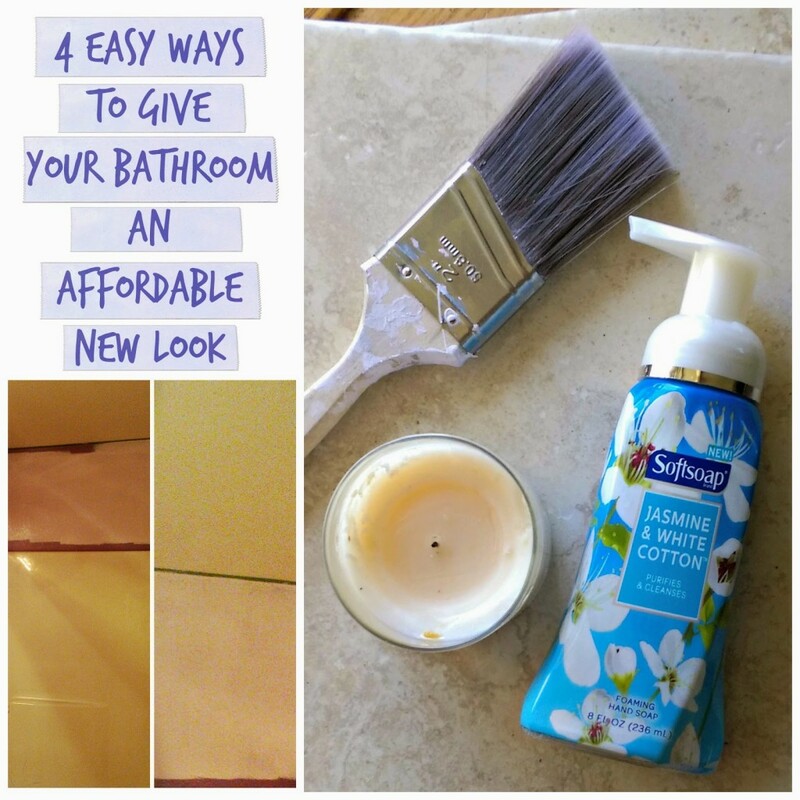 Is it Time to Give Your Bathroom an Affordable New Look? I’m going to try not to gloat when I talk about how beautiful our weather has been this last week, because I know in most parts of the country it’s been very cold and snowy – but it has been so wonderful to have sunshine and 64 degree weather – I’m going to miss it when it’s gone and the grey sky and rains return! 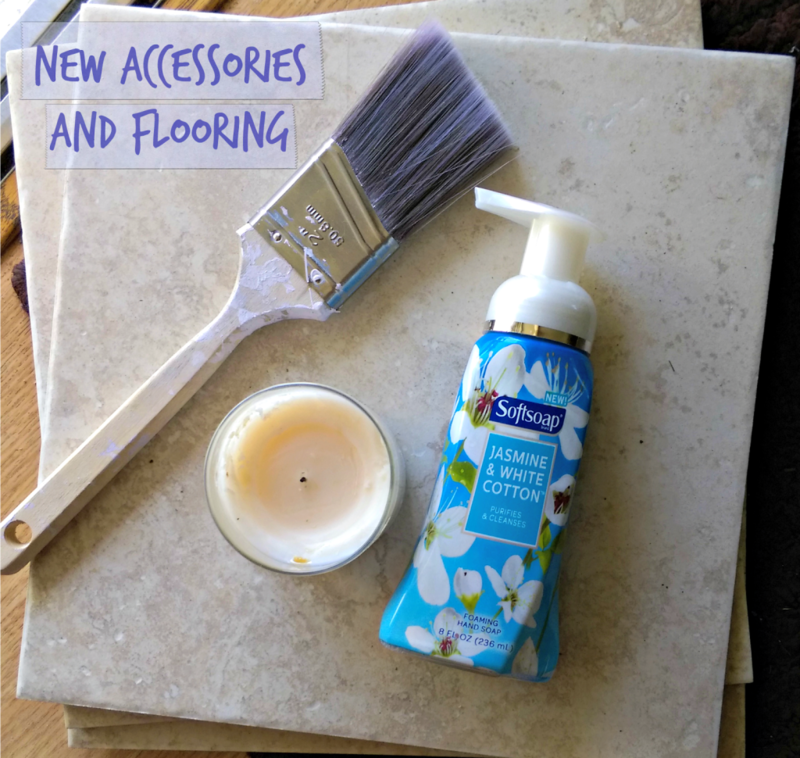 The sunshine makes me long for spring and when I think of spring I think of cleaning and updating around the house. I actually started an affordable little project back in January but got super busy and didn’t get it finished until yesterday! You see, I’ve been contemplating painting our main bathroom for years now, it was painted a dark purple color by the previous owners and like most things that happen when you are raising young children – it gets put off for a while. Honestly the entire house needs an update – it’s got all of the ‘fabulous’ (I say this with a touch of sarcasm) red oak stain and brassy colored fixtures that were made famous in the 90’s. 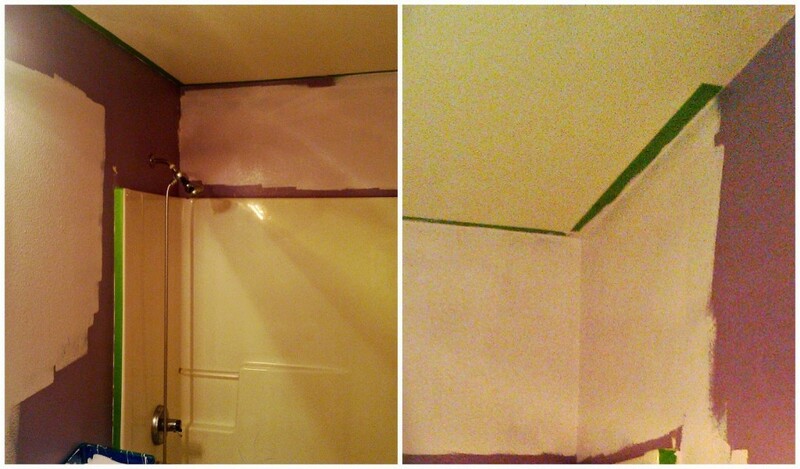 Painting though, is one of the easiest and cheapest things to do to update a room, so I finally did it! I wanted to keep the room with a purple hue, as our rug and shower curtains could then still match, and also because the kids didn’t really like the idea of getting rid of the purple altogether. I originally bought a very light purple but didn’t think (or realize) that I needed to make sure it had a grey undertone, and after painting the entire bathroom I realized that it looked very, very pink, and that wasn’t the look I was going for, so I ran back to the store and purchased a very pale colored purple with a cool grey undertone, and learned my lesson about warm and cool colors! I’ve also purchased some tile that I would love to install someday soon – the bathroom has had this hideous linoleum and I think a nice neutral roman tile will make the room look so much nicer. The cabinets I plan on staining a walnut color and I’ve been practicing on the towel rack and toothbrush holders so I don’t mess anything important up on the big project! 1. Update the paint – you can change the color, like I did, or just repaint the same color to brighten it up and give it a fresh new look. 3. Find some new accessories – things like shower curtains, rugs, and candles can completely change the look and feel of your bathroom. 4. Flooring and staining – if you have a little extra time and money on your hands you can easily update the bathroom with new flooring and by re-staining the cabinets which can completely change the way your bathroom feels! 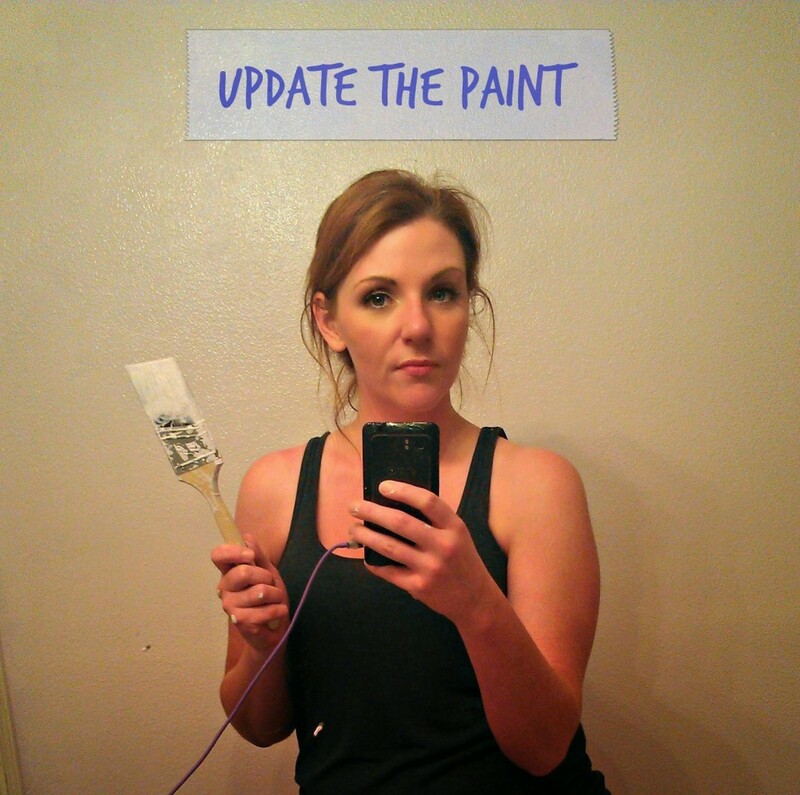 Have you wanted to paint and/or update your bathroom? 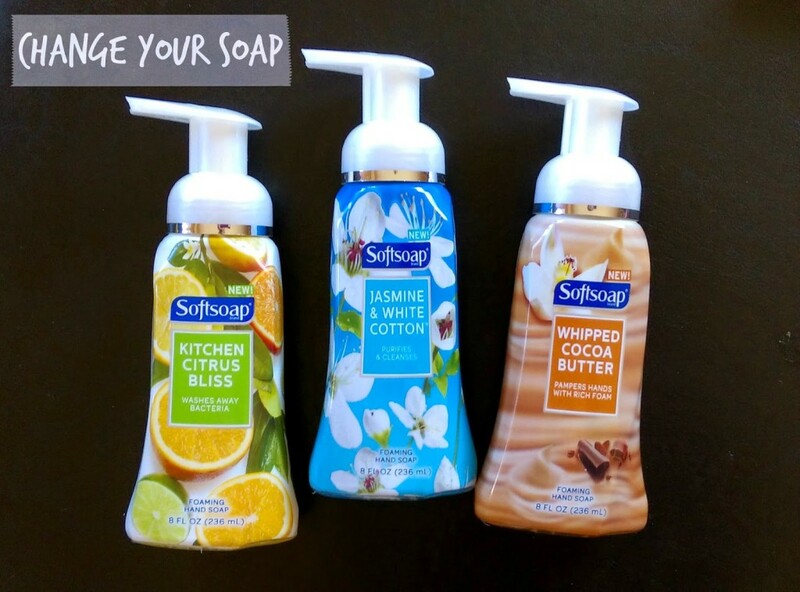 Which of the three new Softsoap Liquid Foaming Hand Soap scents would go great on your sink? Totally want to give my bathrooms a make over. 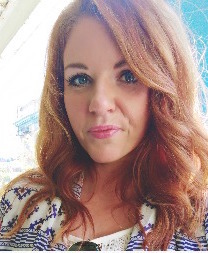 Time, money and being a renter holds me back. Although, I have lived here for 5 years. Thinking I might just go for it. I don't recognise that brand of soap at all, or any of the others for that matter, but I always like the citrus ones, I'm not so big on the floral scents. 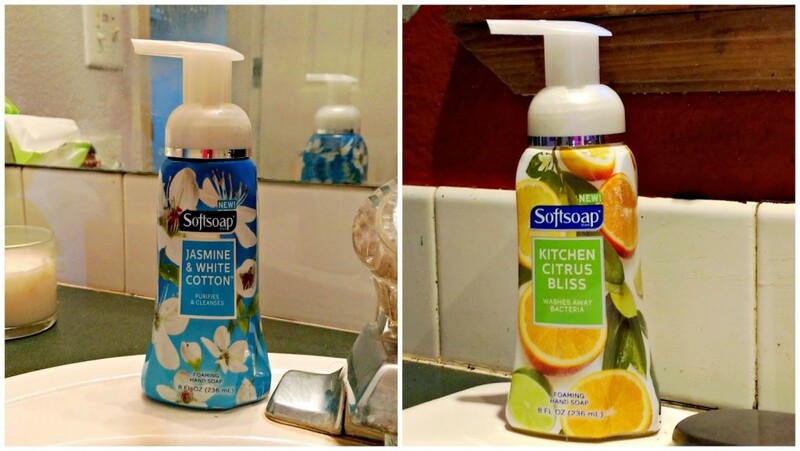 Citrus scents are always one of my favorites! It's amazing how a little paint can change things up so much. I love the tiles also. Thanks so much for sharing with Adorned From Above's Link Party. Look for the new party up tonight. I love the look of those soaps! I can't wait to get the whipped cocoa butter for our guest bath which is all warm colors, and the jasmine and cotton for my master bath. I love that blue and the beautiful white flowers. Thanks for linking up at This Is How We Roll Thursday. I agree – the blue and white flowers on the packaging is so pretty!